Situated at the ouskirt of Batusangkar the capital city of Tanah Datar Regency. 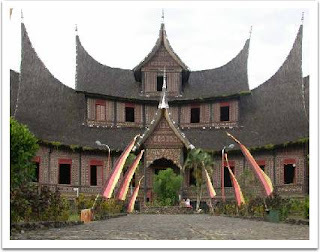 In the past, it was the seat of the ancient of Minangkabau Kingdom, Pagaruyung : which at the beginning of its history was ruled by a queen named Bundo Kanduang. Relics of that ancient past are still scaffered over the area among them are Batusangkar stone inscriptions found in some areas.